Austria – The Vienna Metropol Theater is one of the most tradition-rich venues in the Austrian capital. 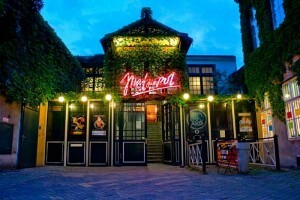 Today, the Metropol provides a stage for national and international music acts, cabaret and theatre productions. The Vienna Metropol has three stages. The main stage with the big hall has an audience capacity of 700 standing or 550 seated. Its special feature is that the stage is open on three sides and the hall has a comparatively low ceiling height. The audience sits around the stage in a 270 ° angle, which further complicates the sound reinforcement situation. The room acoustics are also unusual, it is characterised by a short reverberation time with pronounced diffusivity in the empty space. In short, a demanding task for every sound system. 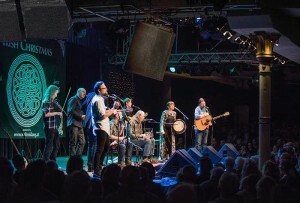 After various modernisations were carried out in recent years, it was the sound system’s turn in 2018. The Austrian distribution partner of Alcons Audio, the Vienna-based company Pro Performance, could not only convince with outstanding performance and a seamless sound coverage across the audience, but even prevail against the entire competition. The demonstration featured a set-up of Alcons RR12 point source array systems and universally applicable Alcons VR12. The Metropol installed however only the RR12 with 120° dispersion behaviour for the main area. 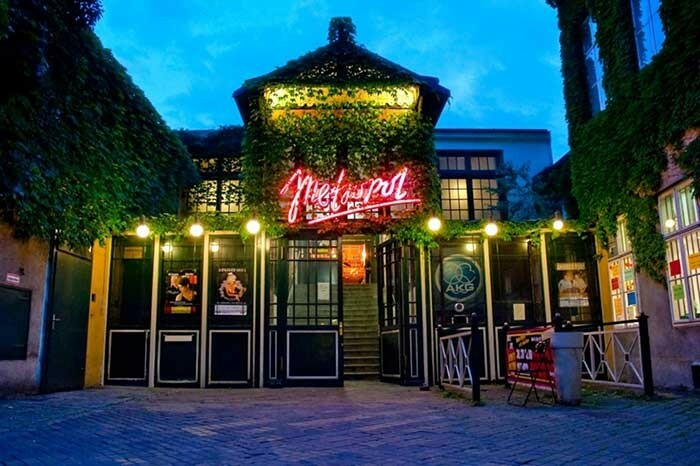 "The main emphasis of those responsible in the Metropol Theater was on a very good speech intelligibility and resolution, which should be preserved even at high sound pressure levels," says Wolfgang Sauter, owner of Pro Performance who performed the demo in the Metropol and intensively advised the client. "Because of the low ceiling height and the associated visual limitations due to the speakers in the stage area, the aesthetics also played an important role. Moreover, since the audience sits very close to the speakers, the asymmetrical vertical projection was also of great importance. All in all, no other product met these requirements better than the Alcons RR12. " In the end, eight Alcons RR12s and four BF302 mkII subwoofers were installed on the main stage, controlled by two Sentinel10 amplified loudspeaker controllers. Andreas Früchtl, long-time technician in the Metropol, is satisfied with the installation: "In my view, the decision for Alcons Audio was absolutely correct considering the mentioned criteria, because no other product fulfilled this to the extent, like the RR12. And as has now been shown for several months of operation, all artists and their technicians are also very satisfied with the system. There was not a single complaint whatsoever. And as I have learned from various artists, the response of the audience is also very, very positive." "I can only agree with this judgment. Our contacts in the music scene confirm that the new sound in the Metropol Theater is extremely well received," concludes Wolfgang Sauter.